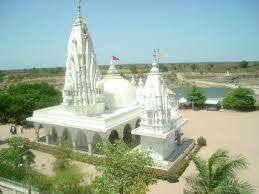 Here is Some Information about Umiya Mataji Temple in Sidsar Gujarat India. 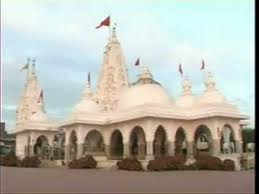 The Umiya Mata Temple in Sidsar is located in Sidsar town Tal: Jamjodhpur Dist: Jamnagar Gujarat India.the temple was built in 100 uyears ago, and built by Kadva p[atidar Samaj.The temple is dedicated to Goddesh Umiya.Deora village of Porbandar district remains a believer farmer. Always and satasanga and pleasure santasevamam ratanabapa the Patidaar elderly people calling saying. Kanasagara ratanabapa easy life working in the fields of labor, was also a guest Aangan exactly the mind of God. Abhiyagatane bread and sadhusantoni serving, timid than the chanting of God continues to live. Valagari nature and because of their religion gamadanam people around them, 'Bhagat' known as. Such a sincere devotee of the Lord will be wishing to take some work, and one day a monk arrived at the border of Bhagat. Ratanabapae price monk served honorably in the reception. Heartfelt Bhagat spirit of this monk are satisfied. Mr. Bhagat said, "O Bhagat! Umiya in your sraddham and inexhaustible devotion to service, life will be blessed and you will be immortal! " Since Umiya to serve in ratnabapae not looked back. Aradhananam mother worship-worship rites Bahn dash unaware Bhagat night and day just pure heart and Distance serve Umiya're in the outcome. Rome-Rome pragatatam their consciousness and worship nishkam Pratap, a great global power, but they elected to work as a conductor. A night to remember ratnabapa matajinum tandrita state are resting on their beds. Price Samadhi awakened, unscrupulous states has been passed. There is a divine realization. He came to Umiya veritable mother is standing. Mukharavinda's bright eyes Ami sea, a glimpse of these magnificent than itself blessed-blessed Bhagat himself understands. A few minutes to do, what to say, but did not understand. Baludani kalagheli such Bhagat fell down at the feet of mothers. Blessed mother said, "What! Sidasara village is buried within my idol, but you shall cast them out." The morning when the sun comes out to bless his creation to be riding the chariot, but continues ratnabapani confusion. Seen at night in the scenic heart is not moved. The fact that this is just an illusion! People believe me or not believe him! Thus thinking, thinking back to the night falls. Goddess again that night itself is manifested and experienced been skeptical bhagatanam heart also goes away. The second day is the same Bhagat sidasara village. Mataji is the divine revelation itself village people are talking and the message Mataji says. First, people do not believe the truth, but people ratnabapae communication ratnabapani exploitable, Visage and intangible mataji kankunam Saathiya given as a sign to start navigating. Venu-running River running south coast is a small kumkum Watan. There excavation starts, but the image appears rather large black stone. Mataji to keep on the uphill sraddham Sheila hatavata subhra enormous flood light ghadebhara same ... people's eyes are anjaya. Marble goddess statue became surprised to see the same people. Nobody knows just goddess worship has become a sacred scent and astral experience at all blessed. Mataji was stable form is a bit nirakhata kikio eye. What a magnificent form! Four hands, forehead rudo candalo, throat defeat, Kangan hands, feet and head Toda Corolla attention! In caitanyasvarupa Umiya green sari and a half feet statue atop Red cundadithi alaukika! Hamana knows only his mother to bless baludaone open mouth looked so alive! Patidar bitter Kuldevi families, rajarajesvari, Adishakti mother Poonam sudi Bhadrapad umiyanam spontaneous pragatyno the blessed days, 1955mana-era statue in honor of the divine sidasara was brought to the village. The village and surrounding area spread into every place of the mother Umiya statue was manifest. Crowds of people Crowds of excited mataji darshan. Umiya mother knows the joy that is real-time quotes thathela has spread everywhere. The king dharmapremi Gondal said Mr. Bhagwatsinhji rule. Pragatyanam the divine image he heard the news. Gondal king built a magnificent temple of the civilized image of the installation, the thinking angel sent sidasara. Gondal sidasara angel statue of the king came and talked to him. Despite the unwillingness of the Raj commanded five times, leaders from image to Gondal. But mother wanting something different was Umiya. Night vision king's mother said, "Rajan! I want my children to be than on the plains of the earth, so let me take sidasara back! "Dharmapremi King manabhera delivered back to the divyamurtine sidasara. Sidasara village has increased the zeal of the incident. 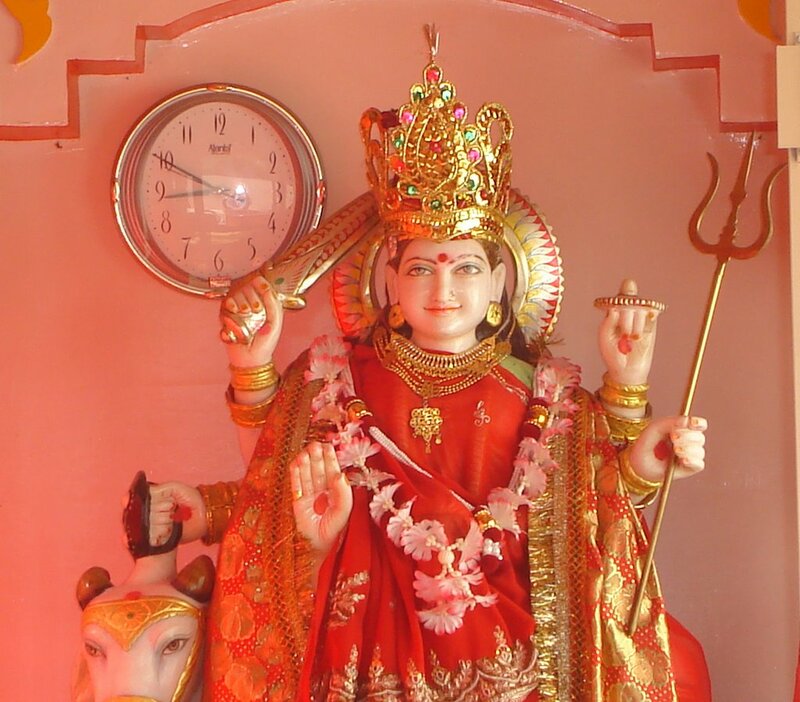 A simple but holy idol of goddess sraddhampurvaka small temple has been established. Since the timid Bhagat mataji ratnabapae wearing just a dress goddess took a lifelong vow to dedicate his life to serve. In 1999, the era of goddess worship bhagatabapa mataji great son went on pilgrimage to the infinite heavens. But is this divine work through their devotion and their nishkam fragrance also obliges us to humble the head with their holy feet. Today the whole bitter Patidaar society is proud of bhavavandana ratnabapanam feet. By Road : There ate many public and private vehecels available to reach Umiya Mata Temple in Sidsar Gujarat. By Rail : The Nearest Railway station is Jamjodhpur Station. By Air : The Nearest Airport is Jamnagar Airport.